In the textile industry, "alpaca" primarily refers to the hair of Peruvian alpacas, but more broadly it refers to a style of fabric originally made from alpaca hair, but now often made from similar fibers, such as mohair, Icelandic sheep wool, or even high-quality English wool. In trade, distinctions are made between alpacas and the several styles of mohair and luster. 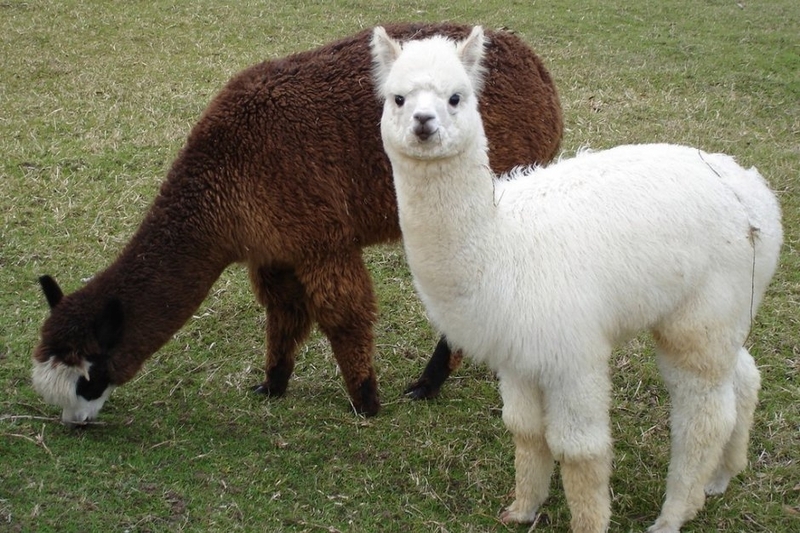 An adult alpaca generally is between 81 and 99 cm in height at the withers. They usually weigh between 48 and 84 kg (106 and 185 lbs).